GBC Gex 3: Deep Pocket Gecko (USA) in 27:22.7 by mmbossman. Gex 3: Deep Pocket Gecko is the portable version of Gex 3: Deep Cover Gecko. The plot and goals are the same as in its home console counterpart, though all the levels have been remade in beautiful 2D. The author, mmbossman, runs and bounces around the Media Dimension, collecting only the required remotes to beat Rez and save Agent Xtra. 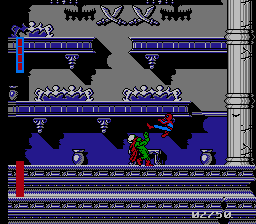 Genesis Spider-Man vs. The Kingpin (USA) in 06:04.77 by mmbossman. Unlike in the comic books, here Spiderman talks less and smashes his enemies more - with boosted (tool-assisted) efficiency. 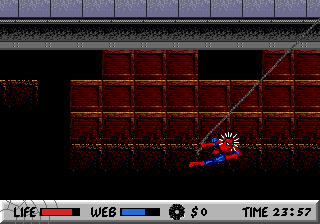 The run also features some speedy movement via web-slinging. This is about a 11 second improvement over the previous movie by Neofix and mmbossman. Note: The movie length is longer than the previous movie because the author kept the movie recording long enough to initiate the final credits (unlike previous movies). Genesis Wolverine: Adamantium Rage (USA) in 10:47.68 by mmbossman. 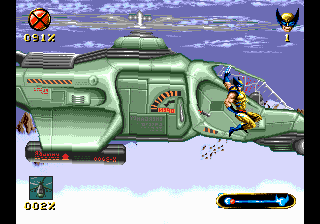 Wolverine Adamantium Rage is an atypical Genesis platformer with some fast paced action. In this run mmbossman entertains you with Wolverine's vast repertoire, breaking many laws of physics as he moves through the stages and stabs anything that happens to get too close. A large variety of tricks are used. He also takes rockets to the face while fighting a helicopter just to squeeze in faster time, showing you just what extremes he will go to entertain you. There is also a wonky palette error glitch in one particular stage. NES Spider-Man: Return of the Sinister Six (USA) in 05:27.41 by mmbossman. The Sinister Six have rejoined in hopes of ruling the world (as usual), but Spider-Man has a lot of errands to do, so he decides to beat all of them in record time. The mechanics of this game make it difficult to make a fast TAS. If Spider-Man stays in the air too long after a jump, he'll drop straight down, and his web-slinging is easily stopped by enemy projectiles. Despite these obstacles, mmbossman manages to improve the previous movie by over 35 seconds thanks to improved speed management and more efficient boss fights. SNES Disney's Goof Troop (USA) in 16:36.57 by Randil & mmbossman. 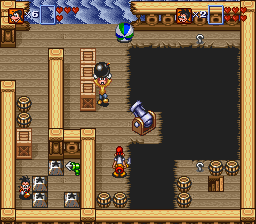 Goof Troop (1993) is a cheerful puzzle game based on Disney show of the same name. The gameplay is somewhat similar to NES Legend of Zelda with its maze-like map filled with one-screen rooms, except this time the emphasis on puzzles is stronger, and you can play in co-op. In this movie the authors control two characters (Goofy and Max) simultaneously. This allows for a good deal of team work as one character can go get an item while the other heads for the exit. When there is no multi-tasking to do, the authors do a good job performing antics with one or both of the characters. This is a nearly 4 minute improvement over Frenom's previous movie. Improvements come from new tricks, better teamwork, luck manipulation and optimized movements. SNES Wild Guns (USA) in 19:07.55 by mmbossman. 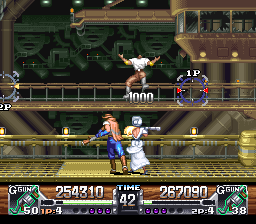 Wild Guns is a science-fiction/western game involving a lot of guns, explosions, and robots. 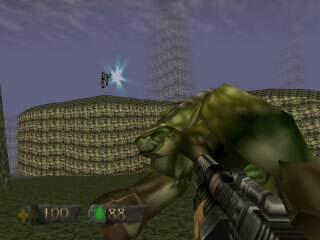 One peculiar control feature is that the character's movement and aim are controlled simultaneously. The stages look like they are on a fixed timer, but every killed enemy decreases the game clock. By shooting enemy bullets out of the air, a meter builds up for the very powerful Vulcan gun. This is nearly a 6 minute improvement over the previous movie due to the use of 2 players, more accuracy, and some nice tricks. The author has also embedded a few subliminal messages throughout the movie. Details can be found in the author's comments.